The UNSW APT group hosts a page where NOAA Satellite images of the SSO region are regularly downloaded. These maps are processed to provide coloured highlighting of rain potential cloud. There are also links to all-sky monitors at SSO, including a UNSW APT all-sky-camera images of the whole sky at video frame rates. It is excellent for seeing the sky quality when the moon is up, is even useful when the moon is down, with the galactic plane being clearly detectable when the sky is clear. The AAT Night Assistants have collated a large collection of useful resources when observing at the AAT, including links to external sites with weather data, AAT meteorological data, and Dome Air data. Note that only the AAT meteorological data will be accessible to you from outside the AAO's network. The James Cook University Dept of Electrical and Computer Engineering provides processed data from the Japan Meteorological Agency's MTSAT-1R satellite. Especially useful are the latest map, and the GIF movie of the last day's images. The data comes from the GMS-5 satellite, and are updated every 3 hours (though the 15:30 (UT) images are usually absent). The MTSAT-1R satellite is operated by the Japanese Meteorological Agency (JMA). Images of the Australian region ("SE Quadrant") can be obtained direct from JMA, or from the Naval Maritime Forecast Center/Joint Typhoon Warning Center (NMFC/JTWC). 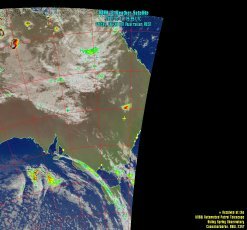 The Australian Bureau of Meteorology also supplies processed images from the MTSAT-1R satellite, but which are updated every hour, and are in a slightly different format from the JCU images. The latest infrared and visible images are available, as well as a more colourful infrared view. Also useful are the Bureau's synoptic charts (both current and 4 day forecast), and the Bureau's forecasts for NSW. Siding Spring Observatory sits between the North West and Central West Slopes and Plains. Weatherzone has some really useful maps, including a large sample of rain radars (larger than the Bureau's sample page above, though all static), on 228km size maps. Try the NSW radar and lightning tracker. You may need to register to access other services. The AAT archives its current and recent meteorological data locally, which can accessed externally to the AAO. 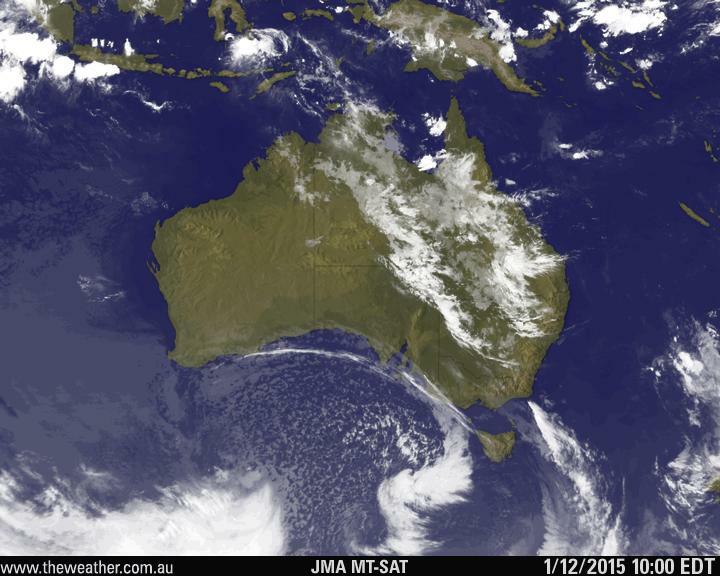 Weather forecasts, reports and images from the ABC Weather pages.